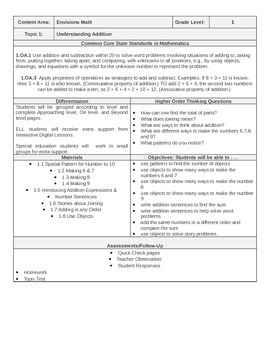 This file includes condensed lesson plans for 1st grade Envisions math which is common core and Danielson aligned. 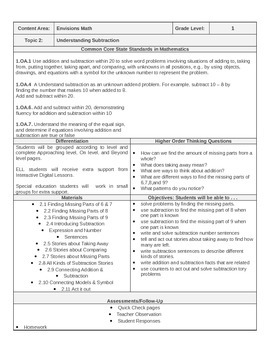 Each template includes the standards and topic names of each lesson as well as the objectives, differentiation, assessment, and questions. This file is completely editable to meet your needs!